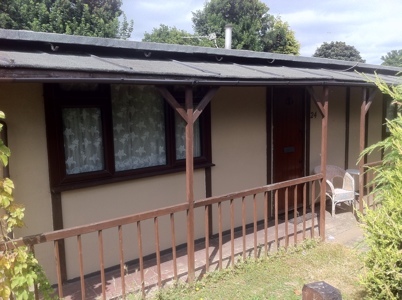 When the late Queen Mother undertook tours of the suburbs she often dropped in on the residents of prefabs, claiming the developments resembled holiday camps. Walking around the Excalibur estate in Catford, south London, this afternoon I could see exactly where she was coming from – proud people greeted passers by outside their homes today with all the joy that suggested they were away for a weekend break. As for the actual two-bedroomed buildings, they didn’t look dissimilar to the Butlins chalets that many will remember from their childhoods. I just wondered which way it was to the beach. But this calm oasis where neighbours look out for each other faces the bulldozer. Thirty nine tenants have already been vacated ready for their homes to be demolished, others have notices to leave and the rest will no doubt receive letters giving them their marching orders soon. 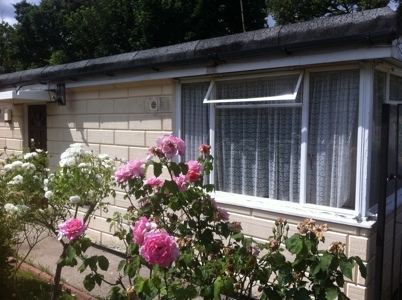 Excalibur, the last remaing complete prefab estate in Britain, looks doomed. When it was built in 1946 it was only meant to be a temporary measure aimed at helping to relieve Britain’s post war housing shortage until more permanent structures could be built. 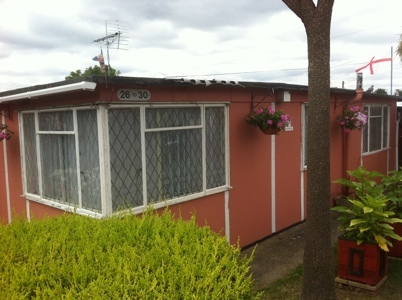 Like the other 150,000 or so single-storey prefabs built in Britain the homes were designed to last around 10 to 15 years. But as residents enjoyed living in them, they remained in what were termed ‘palaces for the people’ outlasting the ghastly tower blocks that were built in the 1970s. One aspect of prefab life that shines through at the 186 home Excalibur estate is the effort that tenants have made to stamp their mark on the properties. You’ll spot a mock timber framed Tudor style house, for example, while others have gone to enormous lengths to make use of every inch of space of their gardens, with decking and a range of colourful flowers. It’s easy to forget you are still in London. Showing me around this afternoon was the photographer Elisabeth Blanchet, who currently has an exhibition documenting British prefabs at Photofusion in Brixton, and a number of local residents. The latter were kind enough to take me inside their homes – although apparently a little cold in the winter, they are well looked after by tenants. The real novelty when they were built was that they had an inside toilet. What happens next is unclear to residents as there have been many false starts at demolition. Tenants were apparently told by Lewisham council that they will be able to the new homes earmarked for the site (where there will be over 300 built over 12 acres, far more than the current 186), but those I spoke to today remain unconvinced it will follow through on it’s promises. 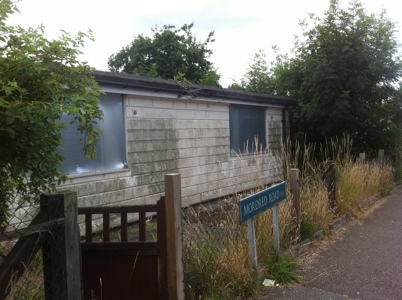 But however and wherever the individuals concerned are rehoused, the battle to save Britain’s prefab heritage appears to be lost.